It has been 7 years since Nonito Donaire entered the ring as a Bantamweight, and at 35-years old the five-weight world champion looks to re-capture his finest prize fighting days against a man primed to be a future star. Belfast’s Ryan Burnett has already claimed IBF and WBA titles at 118lbs, and now stands as the unbeaten WBA Bantamweight ruler. A meeting with WBO kingpin Zolani Tete lies in waiting for the Eddie Hearn promoted fighter. Burnett 19-0(9KO’s) has already dethroned a pair of champions, firstly taking the IBF belt from Lee Haskins (W UD 12), dropping Haskins twice on route to the win. Then 4 months later he stripped WBA ruler Zhanat Zhakiyanov (W UD 12) of his belt to lay claim as a potential pound-for-pound phenom. The list of world level established fighters that Donaire 38-5(24KO’s) has met in the boxing ring is endless. The Filipino is bound for the Hall-of-Fame, but those successes were a long time ago and defeats to Guillermo Rigondeaux (L UD 12), Nicholas Walters (L TKO 6), Jessie Magdaleno (L UD 12) and Carl Frampton (L UD 12) over the past 5 years are the signs that Donaire’s days as a winning fighter at the top are no longer. 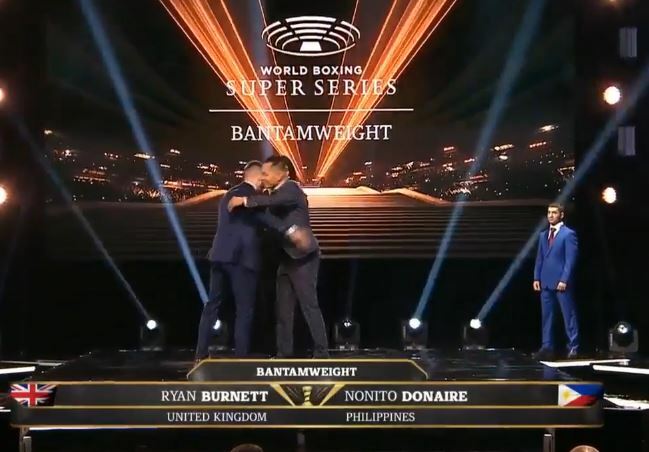 The clocks were set back an hour last weekend, but they will need to go back many years for Donaire to upend the odds and relinquish Burnett of his world championship. It is no secret that Donaire was not big enough for the Featherweight division, but while his career best highlights came at Bantamweight, this drop in weight will take a lot from a fighter entering contest number 44. If done safely, then size advantage will significantly be on Donaire’s side, and despite his age, the ‘Filipino Flash’ has still shown life in recent defeats, enough to suggest that the power and accuracy can cause problems to any Bantamweight on the planet. That is why a faultless performance is still a must for the Northern Ireland man. Like many of Belfast’s best, Burnett is never one to shy away from toe-to-toe exchanges, but gifting Donaire his likeliest chance of victory would be exceptionally unwise. Donaire can pile the pounds back on after the weigh-in, and this will make him a threat for as long as his gasket has any fuel remaining in it. But the challenger will be outworked for large parts of an entertaining contest, before Burnett turns the screw in the final 5 rounds. Boxing sensibly late on, Burnett can extend his lead in the late rounds before taking a wide unanimous win to move on to a highly anticipated semi-final meeting with Zolani Tete – a unification between two of the best fighters on the planet.